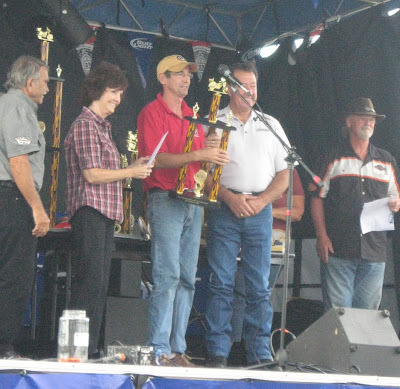 I headed back to the Tilley Harley Davidson Biker, Blues & BBQ yesterday to see if any of the barbecue competition teams had drowned (talk about some rain around here this week) and also to see who would be taking home trophies. 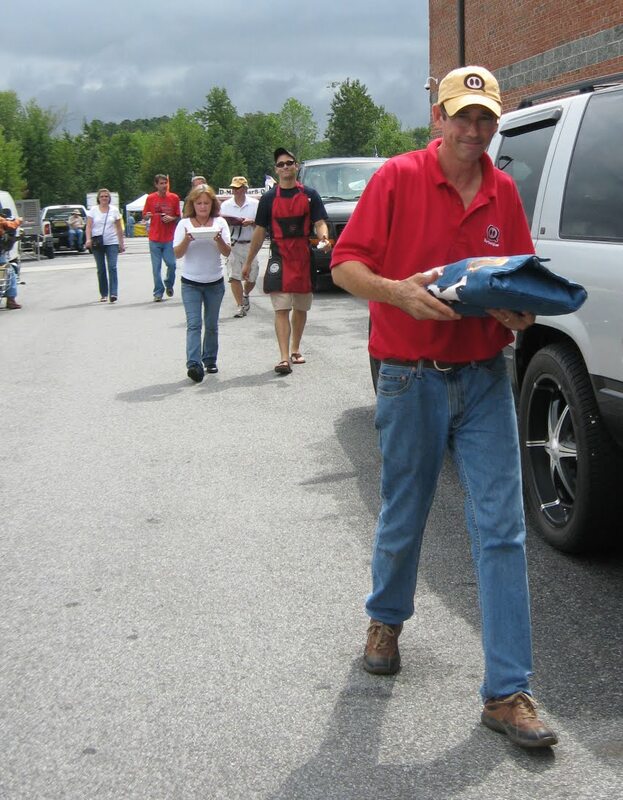 The rain had stopped by turn in time, and barbecue teams were walking the competition boxes up the side of the building. With four categories in a Kansas City Barbecue Society competition spaced a half hour apart, the turn in time is a pretty long process. I was weaving in and out of the barbecue tents but staying in the background and out of the way. The last thing you want when you're trying to get your chicken thighs just right is someone gabbing and asking you to pose for photographs. 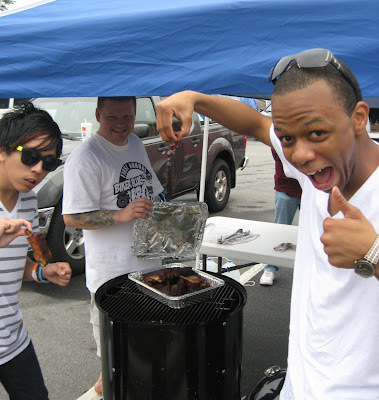 Once the barbecue boxes were turned in, most of the teams kicked back for a while and shared chicken, ribs, pork, and brisket with family, friends, and random nice people. This is when it's great to have lots of barbecue Facebook friends and a camera. 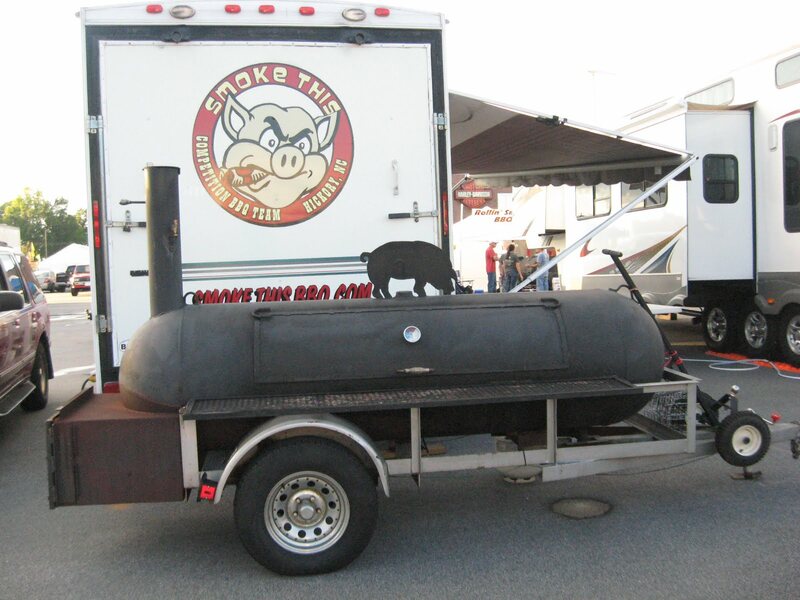 I visited with some of the teams I'd met the day prior like Yadkin River Smokers (great sauce) and Smoke-a-holics (Pig Pen - terrific BBQ seasoning). They hooked me up with some fabulous samples. It's amazing the variety of wonderful barbecue these guys turn out. Now, I'm sounding gushy in this paragraph, but there aren't enough adjectives to really capture the yummyness of slow smoked meat right off the smokers. My crew which ended up including my son who goes to Catawba College and his roommate and a buddy home based with D&D Hickory Hogs. We'd been talking about the competition for several months. It was the first time Darrin and Donna had ever entered. Darrin was a little nervous about his food. Some of the teams do talk junk like you see on Barbecue Pitmasters (Myron Mixon - hi there), but most (at least in private) were worried. I tried out Darrin and Donna's meat, and I was pretty certain the pork and brisket were going to be in the money. 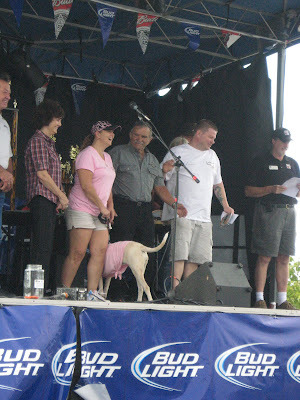 By this point I was so full of barbecue that I needed a nap and a membership to the YMCA, so I hung out with Kevin Sandridge who had been judging. 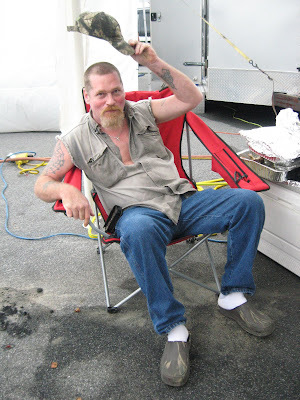 Kevin owns the BBQ Smoker Site, and we had fun sharing barbecue writer war stories. It was finally time for the winners to be called, and Gary Moss took the stage and began handing out trophies. I crawled up through the crowd and parked it on the curb so that I'd not block anyone's view but could still get some photos. Darrin and Donna found me, so we were all curbside and hoping for the best. Yahoo. 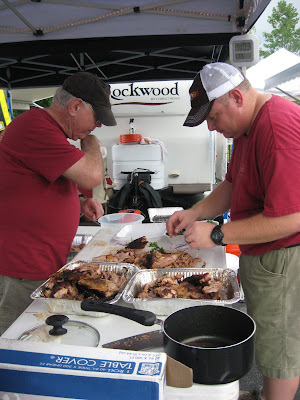 D&D Hickory Hogs took 7th in brisket and 8th in pork to land in the winners circle. They were 15th overall in a field of 37. That's really rocking especially for a first timer team. The Grand Chamption at Biker, Blues, and BBQ was Tuffy Stone of Cool Smoke (from Barbecue Pitmasters TV). We had chatted both days, and I took him a bottle of Ralph's Dipping Sauce which is my favorite North Carolina western barbecue mop. He's going to give that a try and see what he thinks of our local sauce which is made by my co-worker at the college. The Reserve Champ was Smoke This. So, I'm seeing a pattern here. If I ever have a barbecue team, I think I will have to name it Smoke Something. Both winners had short names featuring the word Smoke. Yes. I do have random thoughts like that - all the time. Pickin' Porkers with pitmaster Roger Wise won People's Choice. That's a real honor. Folks at the event voted on them. You can see all the teams and scores at the KCBA site. Also check out the Biker, Blues, and BBQ photos from Friday evening and a large set of competition day photos.